Chiang Mai railway station was built in 1922. The first train route went only as far as Lamphun. The section of track linking Lamphun to the existing track from Bangkok to Lop Buri was finished some 4 year later in 1926 completing the 411 mile (661 km) Northern Line linking Chiang Mai to Bangkok. There are 5 direct trains a day from Chiang Mai to Bangkok. Use the Search Box below to buy train tickets from Chiang Mai. Simply enter your destination and dates of travel and click to find tickets. There are a total of 14 trains, intercity and local, which run daily from Chiang Mai to the South towards Bangkok although only 5 trains listed above travel the full route from Chiang Mai to Bangkok. 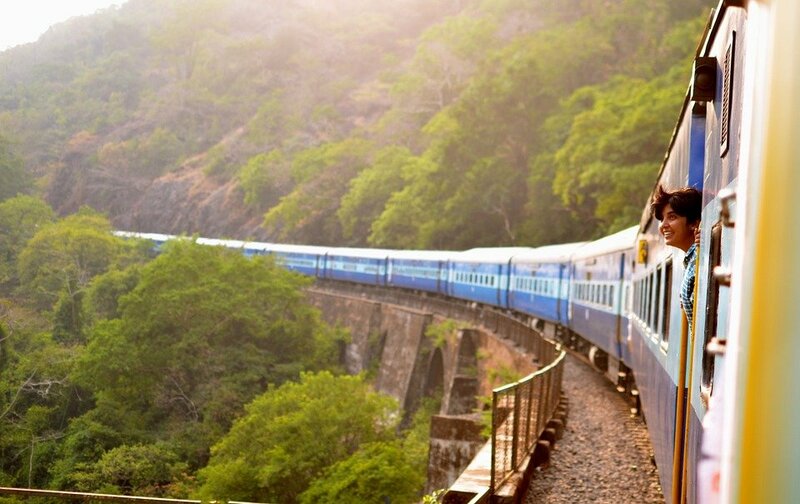 We recommend that readers book the faster intercity trains because they have better on board facilities and the local trains are very slow because they stop at every station on route. All these trains also stop at Phitsanulok (for Sukhothai), Lopburi and Ayutthaya before reaching Bangkok. The original train station was destroyed by Allied Forces air strikes in 1943 – this military action was directed against the Japanese occupying forces rather than the Thai nation – and the station which stands today was rebuilt in 1945 although it did not officially open for travellers until 1948. 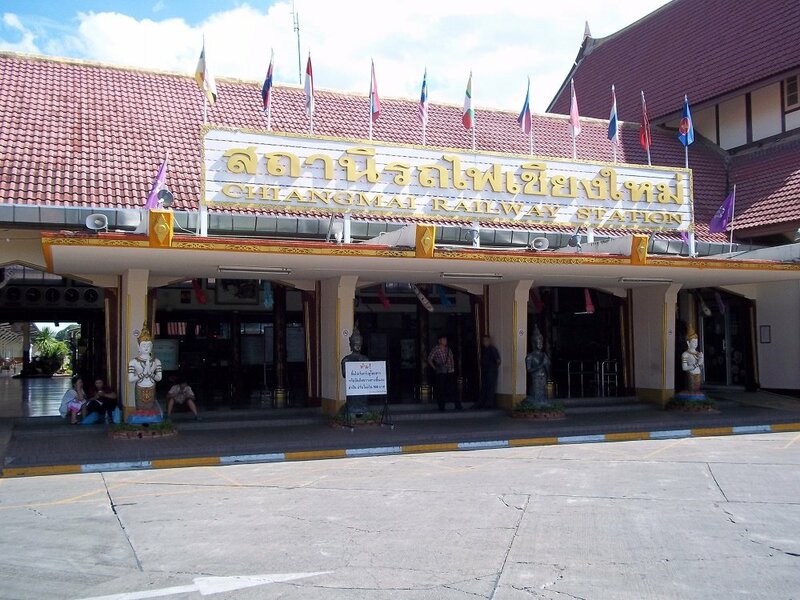 Chiang Mai train station now has 14 departures a day, although not all go the entire route to Bangkok. On public holidays extra trains are normally laid on and the Eastern and Oriental Express occasionally comes to Chiang Mai for special tourist excursions. 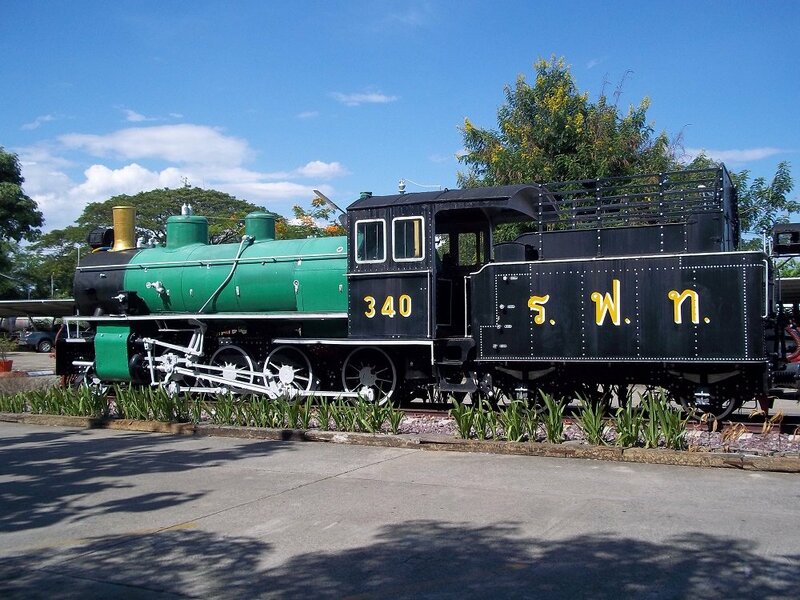 Chiang Mai railway station is located 3.3 km to the East of the Tha Phae Gate (one of the four ancient gates to Chiang Mai old town) on the other side of the Ping river. It is too far to walk with bags from either the old town or the popular riverside area near the Chan Klang Road and the Night Bazaar. Chiang Mai’s Arcade bus stations, from where you can travel onward to popular destinations such as Pai, are located about 2.4 km to the North on the same side of the river. Again too far to walk. To get from Chiang Mai train station to other parts of the city you have three options: tuk-tuk, yellow taxi, or songthaew (which is converted pick up truck with two long seats in the back). Tuk-tuks are normally waiting in the car park and sometimes yellow taxis nearby. For a tuk-tuk or tai expect to pay 100 THB to 150 THB into the old town or the riverside area, and approximately the same to the bus station. The cheapest option is flag down a songthaew plying the road route. The red songthaew normally head up towards the university via the old town. Depending on the driver it can cost as little as 40 THB per person. Located on the East side of the river about 3.3 km from Chiang Mai’s old town. Rebuilt in 1945 in concrete. It is functional rather than beautiful, although it does have an attractive steam engine on display in front of the station. Has 3 platforms with the only destinations being those to the South on the Northern Line which runs from Chiang Mai to Bangkok. Advance tickets are available for purchase in the ticket hall on the right side of the station as you enter. There are two booths. If you want to purchase a ticket as a foreigner you may be asked to to show your passport. You can turn up and buy a ticket on the day, however, if you want a sleeper (advisable for the long journey down to Bangkok) you should book in advance. Food: There are some restaurants in the forecourt of the station to the left hand side of the building. There is also a food court inside the station on the right hand side after the ticket counters. These restaurants are cheap and they will sell you take away boxes of food and cans or bottles of drink as well. Left Luggage: Counter inside the train station. Cargo Services: Go past the food hall and to the right hand side of the platform 3 there is a Parcel & Feight office. Very useful as they transport large items back to the Bangkok for you to pick up at Hua Lamphong station. There is no requirement to travel with cargo on the same train or any train. Transporting Bicycles from Chiang Mai train station: You can transport bicycles on trains from Chiang Mai train station if they have a Freight Carriage. Some trains do, others do not. Unlike other forms of cargo, in Thailand you need to load and unload bicycles yourself which means you need to travel on the same train. To purchase a ticket for a bicycle go to the Freight & Parcel Office at Chiang Mai train station after you have purchased your own train ticket. For more information see our Guide to Carrying Bicycles on Thailand Trains. Chiang Mai Main Post Office: Go out from the train station and turn a right along the approach road (Rotfai Alley) until you get to the main road (Charoen Muang Road) and its to your left about 100 metres away. In total a slow 5 minute walk. 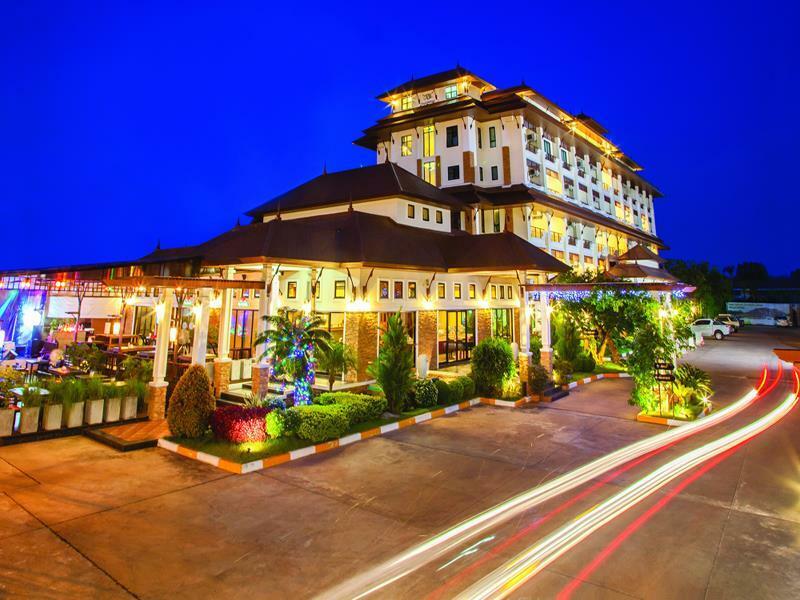 Located on the approach road (Rotfai Alley) to the train station this is the most popular hotel near Chiang Mai train station with readers of Thailand Trains and the closest. Ideal for a late evening arrival or early departure from the railway station. All rooms are air-conditioned with en-suite bathrooms and satellite TV. This is quite a smart place. This hotel has a restaurant and a swimming pool as well. Not bad as hotels near train stations in Thailand go. This hotel is also where you pick up train tickets purchased through Thailand Trains for travel from Chiang Mai.